Franchise Consultants in Scotland – Our Scottish franchise activities are conducted from Semple Street, in Edinburgh. Limes management team makes regular visits to meet potential franchise owners from around Scotland and we plan to open a permanent office in the country shortly. Over many years we have recruited franchise partners and attended many franchise shows at the SECC. 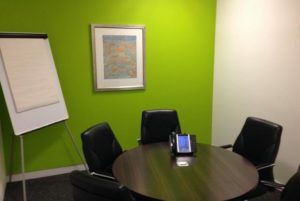 Lime’s franchise consulting services in Scotland have benefited many franchise companies. We provide franchise consultancy in every major city including Edinburgh, Glasgow, Aberdeen, Perth, Inverness, Stirling and south to Dumfries and Galloway. Lime’s Scotland office works with our other offices around the UK. 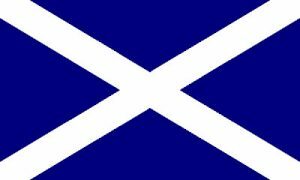 As a result, we can give all Scottish Franchising professionals a UK wide presence. Over several decades Lime has created an elite franchise blueprint that is proven to work. We have taken many of our clients into market-leading positions by implementing our totally unique blueprint. Lime’s team of franchising professionals have many years of experience to draw upon. We have worked in practically every area of the economy and at numerous investment levels and price points. Furthermore, we have even brokered the sale of mature franchise networks which means we can tackle any franchise project! There are one or two resident Franchise Consultants in Scotland but none have our unique background as multi-brand franchisors. Lime Licensing Groups Scotland presence benefits from real life, practical experience. Our regional office structure also gives us a significant human capacity to work up and down the country. This means we can easily carry out local meetings with prospective franchise owners for our clients. As a result, when you appoint Lime to help with your franchise you have answers and proven strategies on tap for everything you might encounter in the franchise industry. Lime hasn’t become the success it is by reading a textbook or going on a course. We have run many franchise companies ourselves which means our franchise solutions are based upon first-hand experience. No other franchise consultants in Scotland have the same real-world knowledge to teach you. We’ve got to this point over 26 years doing what we do! In conclusion, if you need one or more franchise consultants in Scotland please call Andy Cheetham today on 07782 115993. We are happy to provide a free assessment meeting and with no catch! So, to find out why entrepreneurs and business owners choose us, follow this link to our franchising home page.